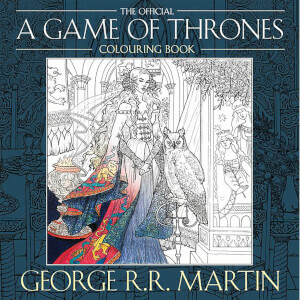 Immerse yourself in the world of Game of Thrones through this beautifully and intricately illustrated colouring book for adults. Complete portraits of your favourite characters, and experience the dramatic landscapes and cities of the Seven Kingdoms and beyond. This is a colouring book of truly epic proportions. Official HBO Licensed Product © 2016 Home Box Office, Inc. All Rights Reserved. HBO and related trademarks are the property of Home Box Office, Inc.